Seductive Cement Setting brings Success! 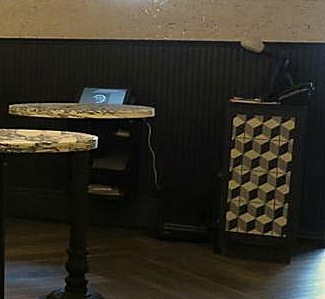 We’d like to give kudos to our friends at Maneli Wilson Interiors for rave reviews of their recent work, featuring our cement tile pattern, Cubes. 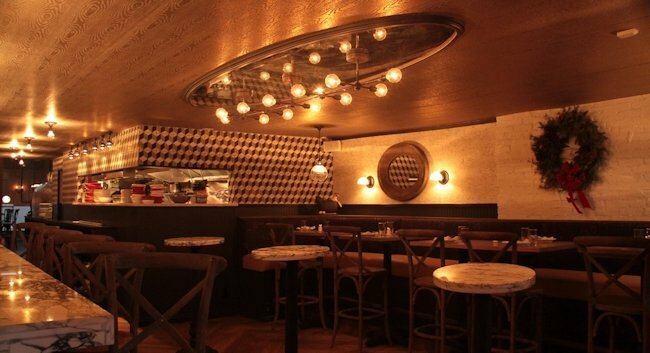 Sotto 13 opened in November as a runaway hit in New York’s West Village. This new darling destination of the local critics features Italian tapas, brick-oven pizzas, and cocktails by acclaimed mixologist Frankie Oley, but few can help but comment on the amazing decor. Our Cubes pattern was used on the wall surrounding the kitchen’s window… a focal point for the flow of food through the restaurant. We also couldn’t help but spot an ingenious use for some of the left-over tiles: they are framed within the side of the hostess stand. On your next project you may consider ordering a little extra… finishing touches like these can really help tie a theme together. Among the mountains of praise, Jones Magazine proclaims that Sotto 13 “offers rustic decor with a modern twist and perfect ambiance.” CBS New York touts Sotto 13 as “perfect for a West Village date night,” and NewForkCity says “it’s the decor that brings you in”, but the food that brings you back. 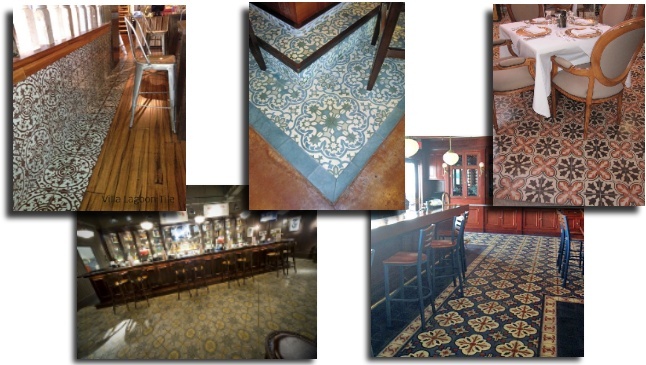 What more can a restaurateur want from their decor than to provide the perfect, inviting setting to showcase their craft? Perhaps a mention by one of the largest travel magazines in the country? Not only has Sotto 13 earned a mention by Travel + Leisure Magazine, their grand entrance to the scene has placed them among “America’s Most Romantic Restaurants”. Writing for www.travelandleisure.com, Brendan Spiegel cites Sotto 13’s “alluring space” among the attributes that landed it so high on the list. No matter what your project, we’re sure our Villa Lagoon Tile, hand-made cement tile can provide a warmth and sophistication that can perfectly accent any vision.